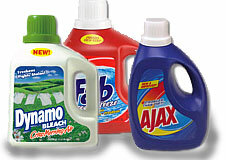 Science Project _ What detergent removes the organic stain the best? What detergent removes the organic stain the best? In this science project you will perform experiments to compare three (or more) different detergents for their ability to remove organic stains.